Schneider Electric helps our customers grow in a sustainable way by helping them to maximise their production resources, optimise industrial operations, improve overall efficiency, and enhance asset utilisation. Schneider Electric is a trusted partner with a complete portfolio of innovative products, solutions, and services that can help mining companies achieve better operational, value chain, and energy efficiency; exceed safety and sustainability goals; and maximise overall financial performance. Protect valuable assets with some of the industry’s most effective video security and advanced lightning detection systems, as well as integrated safety solutions for processes and machines. Obtain energy savings throughout the entire energy management life cycle and achieve sustainability goals with our expert consulting services and resource management. Get total visibility into production processes and optimise operations from end to end, thanks to seamless integration between control and electrical systems. Asset management solutions extend the useful life of assets, decrease downtime, and improve overall equipment efficiency. Achieve a highly effective workforce with advanced training solutions, enhanced operator simulation environments, mobile devices, business process management (BPM), and workflow software. Optimise the entire value chain, from resource to market, and produce the right quantity of materials, at the right time, in the right grade and at the right quality, at the lowest cost. Meet your social responsibilities with proven community outreach and training programs, and unique ‘access to energy’ solutions. Schneider Electric, the leader in the digital transformation of energy management and automation, will hold its annual Global ALLIANCE Partners conference on June 25-27 in Cannes, France. Mobile workforce technologies enable companies to put in place a variety of process improvements. Mine sites are often in remote locations, or across a series of disconnected satellite locations, so hauling and transporting materials requires detailed planning. The mining industry relies on large numbers of staff and machinery constantly moving around sites with adverse environmental conditions. Schneider Electric's process control and automation products provide mine sites with greater control of their operations and improved safety. Mining is a complex industry. Extracting raw material in different shapes, sizes and chemistries from the earth's crust and transforming it into a standardised and high-quality final product is a challenging process, not to mention that it involves huge material movement, scheduling, synchronisation and tracking. Join us for a discussion on these trends and new technologies for better asset management to learn more and then judge for yourself if you have opportunities to take a step closer to operational excellence and greater profitability. The objective of this webinar is to present a new approach for integrated and unified supply chain management that is specifically designed to eliminate the costly inefficiencies arising from legacy point solutions and maximise the value of collaboration throughout the supply chain from pit-to-port. Underground fan exhaust application using the Altivar Process variable speed drive from Schneider Electric. Get up and running fast and reduce risk with Schneider Electric's packaged mine solution - the out of the box answer for electrical distribution, process automation, energy efficiency, data management, and access control. See the full portfolio of our solutions in a 3D virtual flyover of a typical open pit mining operation. Roy Hill Mining Excellence from Pit to Port. As businesses strive to improve the bottom line and gain a competitive advantage, improving operational efficiency is one of the key objectives for manufacturing plants. This requires that plant assets run at peak productivity levels, producing high-quality products at the right time while also ensuring compliance with health and safety regulations. New organisational strategies and innovative technologies can help mining companies achieve long-lasting business excellence and give them a competitive advantage. 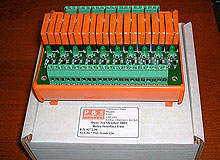 When electric motors are connected with Variable Speed Drives, some precautions must be taken. The high reliability performance of medium voltage (MV) equipment is dependent upon early consideration of safety-related issues. In fact, personal safety is enhanced when safety-related issues are addressed early in the equipment deployment cycle. In any asset-intensive industry, organisations strive for optimal performance at all times. They want to limit downtime, control costs, and minimise safety and environmental risks while achieving maximum productivity. Read about the largest opportunities for improvements in asset performance within metal mining environments. The metals, minerals and mining industry has a resource problem, operators that are untrained and subject to a high rate of employee attrition and plants operate at less than optimised conditions. PowerLogic ION9000 is the newest ‘connected product’ addition to IoT-enabled EcoStruxure™ Power architecture. Schneider Electric, the leader in digital transformation of energy management and automation, today announced the availability of EcoStruxure™ Asset Advisor for electrical distribution and critical data center assets as part of the company’s EcoStruxure IoT-enabled system architecture and platform. Schneider Electric, the leader in digital transformation of energy management and automation, today announced several new solutions to reinforce its EcoStruxure Power digital architecture for energy management and deliver enhanced value to professionals in the power industry, including contractors, consulting engineers, panel builders, system integrators and their end customers. Schneider Electric, the leader in digital transformation of energy management and automation, has introduced the Modicon M580 Safety Controller, an Industrial Internet of Things-enabled safety and process controller that drives new levels of safety and operational profitability. The Industrial Software Platform delivers maximum return on capital investment and profitability across the asset and operations lifecycle. Partnership integrates Cylance’s AI-powered cyber defense within the Industrial Software Portfolio. India-based software delivery centre (SDC) appraised at Level 5 of the CMMI Institute’s Capability Maturity Model Integration (CMMI). Schneider Electric, the leader in digital transformation of energy management and automation, launched a new service that will help industrial manufacturers modernise their programmable logic control (PLC) systems easily, safely and more cost-effectively, sometimes in less than one hour. Schneider Electric has announced enhancements to its Manufacturing Operations Management (MOM) solution for the mining industry. 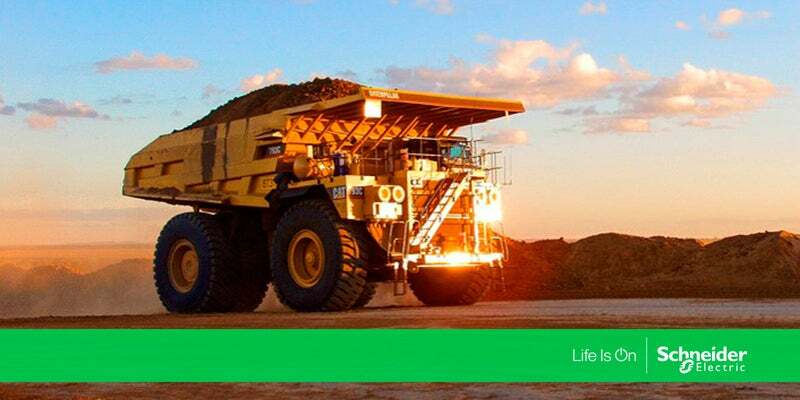 Schneider Electric, the global specialist in energy management and automation, announces EcoStruxure™ for Mining, Minerals and Metals, a new system architecture that leverages innovative digital technologies and the IIoT to allow companies to seamlessly connect, collect, analyse and act on data in real time to improve safety, efficiency, reliability and sustainability.